The research team fed eggs from three species of stick insects to brown-eared bulbul (one of the main bird predators for stick insects). For all three species, between 5 and 20 percent of the eggs were excreted unharmed. 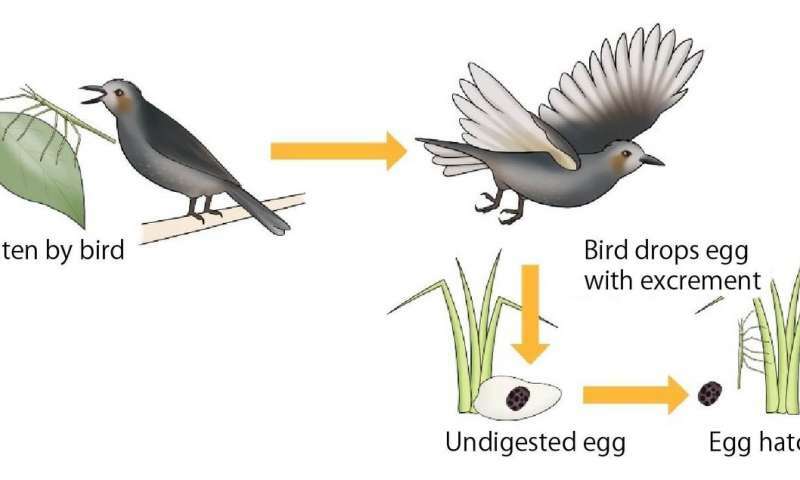 They also confirmed that for one species, eggs retrieved from the bird's excrement successfully hatched. Despite being eaten by birds, the unborn insects survived. 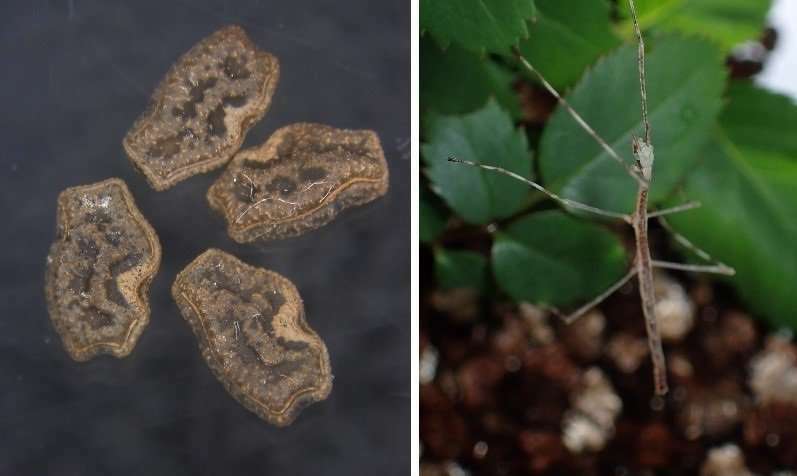 Adult stick insects are frequently eaten by birds, and the stomachs of adult female stick insects are always filled with eggs, so this route is a potential way to widen stick insect distribution. Many plants have evolved eye-catching, nutritious fruit as a strategy to appeal to animals, while stick insects are plain and hard to spot. But even though they do not actively seek to be eaten, for insects with low mobility like stick insects, consumption by birds is one way to expand their habitat. Many relatives of stick insects have dispersed across islands unconnected to the mainland. The ability of animals with low mobility to successfully travel long distances is a topic that puzzled Darwin. "Our next step is analyzing the genetic structure of stick insects," says team leader Professor Suetsugu. "Based on this we'd like to investigate whether similar genetic structure of stick insects can be found along birds' migration flight paths, and whether there are genetic similarities between stick insects and plants that rely on birds for seed distribution". These investigations will reveal that the dispersal of stick insect eggs by birds could affect the distribution and gene flow of stick insects.